Ocular emergencies can occur at any time and in any age group, resulting in significant patient anxiety. 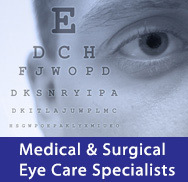 At Ophthalmic Consultants of Rockland all of our physicians are trained to handle all ranges of eye emergencies, from infections, corneal abrasions and sudden visual loss to serious ocular trauma requiring immediate surgical intervention. We have specific appointment spots that are reserved for opthalmologic emergencies on a daily basis.